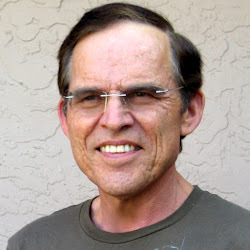 Dr. Ray Schilling was born in 1945 in Tübingen, Germany. He grew up in Southwest Germany and returned to his home town to study medicine at the Eberhard-Karls-University Medical School where he graduated in 1971. He wrote his thesis in endocrinology to obtain his M.D. (1), and published a paper in English in an abridged version in the Acta Endocrinologica (2). Following his internship in Germany, he immigrated into Canada in 1972. He started a post-doctoral cancer research position at the prestigious Ontario Cancer Institute in Toronto from the fall of 1972 onwards until the end of 1975. He published three papers in the area of cell immunology and cell separation methods using a mouse model (3,4 and 5). Ray always felt drawn to practicing medicine and to prepare for this he enrolled in a 2 1/2 year family medicine program equivalent (mixed internship program) at McMaster University in Hamilton, Ontario. After the Canadian State Examination (called LMCC) he moved to western Canada to practice family medicine for 16 years in a suburb of Vancouver, B.C. starting in 1978. In 1983 he trained at the University of British Columbia in clinical hypnosis and joined as a member of the Canadian Society of Clinical Hypnosis. He incorporated this knowledge into his general practice and applied it in patients with various disorders. In 1994 he joined the Worker’s Compensation Board of British Columbia as a medical advisor in occupational health while continuing his clinical work in walk-in-clinics. There he perceived that patients have a need to know more about their medical conditions than the busy general practitioner can communicate to them under the time constraints of modern medical practice. This was the basis for him to write the ‘NetHealthBook’ (6), because it is strictly published only for the Internet. Since October 2002 Dr. Schilling has been publishing a monthly health newsletter on the Internet under www.askdrray.com (7), which is now this weekly Blog. 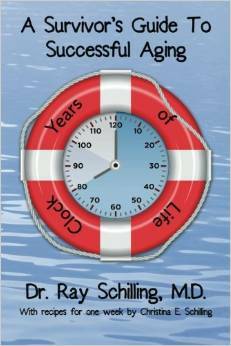 An effort is made to summarize anti-aging information in the askdrray.com Blogs. Nethealthbook.com has its own weekly Blog under http://nethealthbook.com/news/ where general medical news and research findings that affect our health are published on a weekly basis. 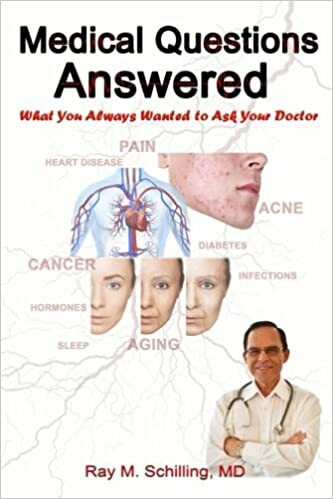 This includes new insights into diseases, new treatment modalities and conceptual changes in medicine, all in easy to understand general language. 2. RM Schilling and Blobel: Acta Endocrin 73:1-10, 1973. 3. RA Phillips, DA Clark, RM Schilling and RG Miller: Progr. Immunol., 1975. 4. R.M. Schilling, RA Phillips and RG Miller: J.Exp. Med. 144: 241-258, 1976. 5. RG Miller, RM Schilling and EA Phillips: J Immunol 118: 166-174, 1977. 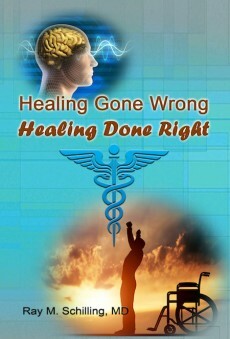 6. nethealthbook.com is an Internet based medical site for patient information. It was published in Kelowna, British Columbia, in February 2002 and has been updated on an ongoing basis. This site contains more than 900 pages of health topics. 7. askdrray.com was the home of the monthly health newsletter that Dr. Schilling published through this site from October 2002 to December 2008. 5 relevant medical news stories were published every month, but it ceased to publish in January 2009. Since November 2012 the data base of askdrray.com has been incorparated into this Blog, which contains more than 400 health topics and has become an ongoing weekly Blog.